Concrete is a popular building material used worldwide, However not always considered as “beautiful”. It’s commonly seen as an industrial material because of its affordability and strength, just a couple of the many reasons why concrete is still a primary building option. Decorative concrete is made of regular concrete but enhanced with aggregates, finishes or unique colouring. Aside from its aesthetic advantages, it’s also used for safety purposes by adding texture that will create a non-slip finish for pool area, walkways, and areas where children and elderly frequent. Builders, designers and homeowners recognise the value of using concrete in their plans, more so with the recent incorporation of decorative concrete for patios, floors, bench tops, entryways, pools and many others. Decorative concrete is perfect for mansions, large new homes, and even budgeted remodels. Nowadays, concrete is no longer dull, grey and ugly. Decorative concrete is an excellent choice if you want to reduce ongoing maintenance, improve its sustainability, and contribute to the overall aesthetics and quality of your project. In this economy, we are all looking for a way to make our dollars go further. This is true, especially in the construction industry. Whether you are buying consumables for a small home or planning an expansive construction project, it is important to recognise “value engineering”. The basic idea of value engineering is to preserve the essential functions of material and enhance improvements such as easier maintenance, cut costs and improved final product. One example is decorative concrete. It delivers excellent value because the overall price kept affordable while improving the overall outcome. Honed Aggregate and Polished concrete have become the go-to material for Bars and Restaurants. Decorative concrete provides uniformity, stability, long service life and safety. Many designers favour decorative concrete for their interior flooring projects compared to high-maintenance coverings that can easily fail due to heavy foot traffic and moisture. Another popular application for decorative concrete is for sustainable building practices. The way concrete is processed and what parts it is made of will determine if a concrete mix itself is a green building material and classifications can widely vary. However, the raw materials which make up cement in concrete such as lime are amongst the most abundant on earth. Concrete can also be made up of waste by-products from processing plants, power plants and mills such as ash, slag cement, and silica fume. Carpets, rugs and other traditional floor coverings use VOC-emitting adhesives that can be hazardous to the atmosphere and may reduce the indoor air quality. Using aesthetic concrete for building floors can contribute to the overall sustainability of the structure as it provides thermal mass and good reflectivity. The energy requirements of the structure are also reduced while conserving resources. Value engineering approach can be a great addition to your design process and can help you in selecting better and value-driven materials for your project. Decorative concrete is an excellent option if you are looking for a high-end look but are on a constrained budget. 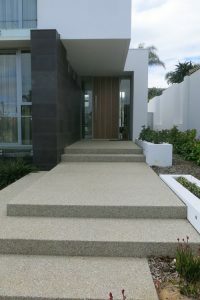 Admittedly it not the cheapest material either but concrete is a versatile material and can is used for benchtops, floorings, walkways, pool decks, patios and many other applications. You can quickly transform the grey, dull look of concrete by using staining, aggregates, honing and polishing. You can even enhance concrete so that it looks like marble or flagstone and other expensive materials, without the exorbitant price tag. While gravel and asphalt are more affordable, they do not offer the same flexibility or looks as concrete regarding enhancements. The two main factors in determining the cost of a project that involves decorative concrete are labour and materials. Typical materials used are cement and concrete mix, texturing products, forming supplies, colouring, sealers and aggregate stones. Labor, on the other hand, is entirely dependent on the size of your project, if you have existing concrete, and the intricacy of the decorative work needed. It is crucial to not cheap labour is not always best in the concreting industry as hiring an inexperienced concreting company can be disastrous. To ensure the success of your project, hire a company or team who has a solid background in the concrete with a glowing reputation. Ask for previous job sites/homes that’s you can drive by to see their work, new and old. 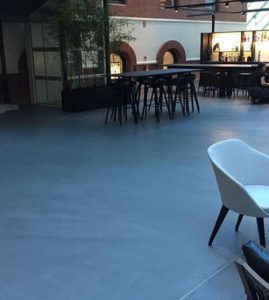 Of all the decorative concrete types, polished concrete is the most durable. 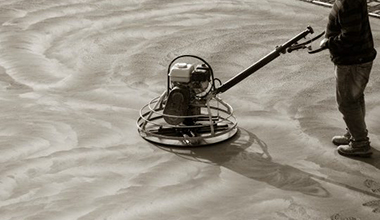 Expensive and large machines are used to grind the concrete surface into a glass-like state. You will need polishing machines, vacuums, and generators which will set you back quite a chunk of money, but polished concrete projects are often big. One of the most common types of decorative concrete application is Exposed Aggregate the process wherein decorative stones, colours textures and aggregates are added to the mix. Exposed aggregate can be honed polished, coloured customised to how the customer wants. Exposed aggregate has been very popular for Decorative Concrete WA customers and the results are beautiful and long lasting. One of the earliest concrete enhancements to be used is polymer cement overlays. The process involves adding a polymer resin to the concrete mix to increase its strength and overall performance. It is also an economical way to add textures and colour to your concrete project and it will last for a long time even without maintenance. Another great way to add dimension, texture and shape to your concrete flooring is by honing. This application involves using high powered machines to grind exposed aggregate or plain concrete down to a smooth surface. Honing is typically done for outdoor areas and polishing is done indoors. Honing can also be used to shape any rough edges. Concrete Bench Tops are responsible for catapulting decorative concrete into its current popularity. They are natural, organic, earthy and can be fully customised to fit the preferences of the designer. There are no shortcuts when making concrete countertops, however. It requires training, practice, talent and patience before a client hires you for the job. It is not just about pouring concrete; concrete is added with special mixes and combined with other decorative types such as staining, aggregates and grinding and polishing. You don’t need a large crew during the pouring and design; it is during installation that you will need a whole team. Concrete countertops are heavy and can be fragile to move. Decorative concrete are trending for so many reasons. First off, concrete is clean. Unlike rugs, carpets or vinyl, concrete floors do not harbour mites or allergens so they are ideal for people with allergies. Concrete requires little to no maintenance depending on the decorative type you use. If installed properly, your home will not only be more beautiful, but be more valuable as well. Always consult the services of an expert so that you have the right kind of assistance when you get started. This way, you won’t end up wasting money and time on your concrete project and plans. Research is the key. After all when it’s done, its set in concrete. Do your due diligence – Ask people who had had decorative concrete in their homes. This way you can be prepared and would know what to expect once you start the project. You must determine the design and decorative concrete type if it is suitable for exterior or interior use. Do not be afraid to ask your contractor or designer for some tips. Particularly outdoors once installed – do not forget to have your decorative concrete coated with a protective sealer. This way your floor or surface will be more resistant to grease, dirt and stains.